We&apos;ve crafted this reduced sugar, ready-to-drink spritzer to be enjoyed as a dry, thirst quenching refresher. Featuring squeezed fermented apple juice with lightly sparkling water and a touch of elderflower, it is ready to drink and share with a friend. Great with some ice and sometimes a dash of something stronger! 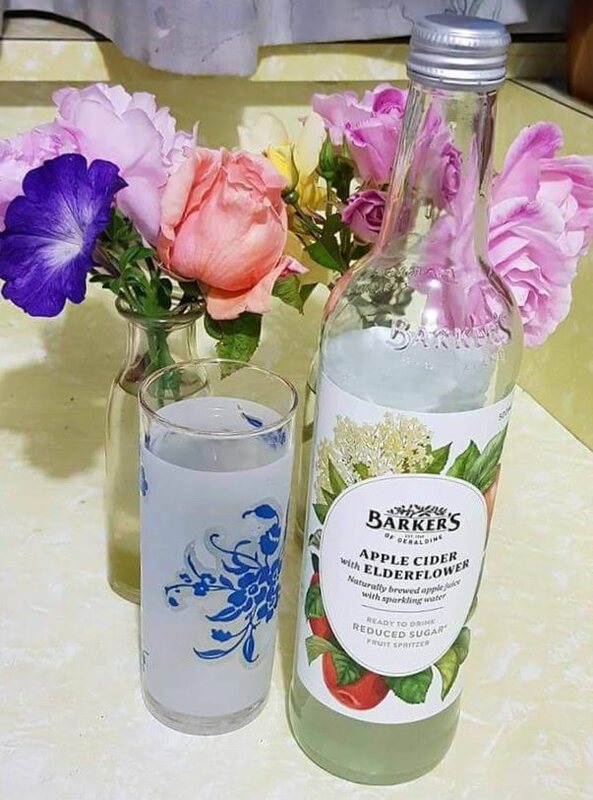 Apple cider with elderflower fruit spritzer is one delicious and refreshing drink to enjoy at any occasion or time of say. The bottle is trendy and very tall at the 500ml size bottle. 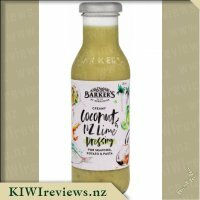 I opened this bottle when I first got the product to receive after I let it chill for a bit and really enjoyed the drink straight away. I love the sparkling water and the fizz that comes with the drink as well. 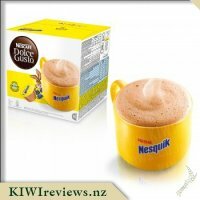 My partner tried it and really enjoyed it also commented how yum it was and asked to have more. 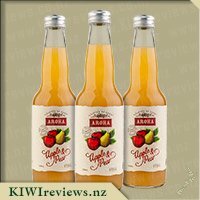 I am pregnant at the moment so have been looking for new drinks to try over summer that I can enjoy with friends while they are enjoying their beers and wines and I believe I have found my new summer drink. 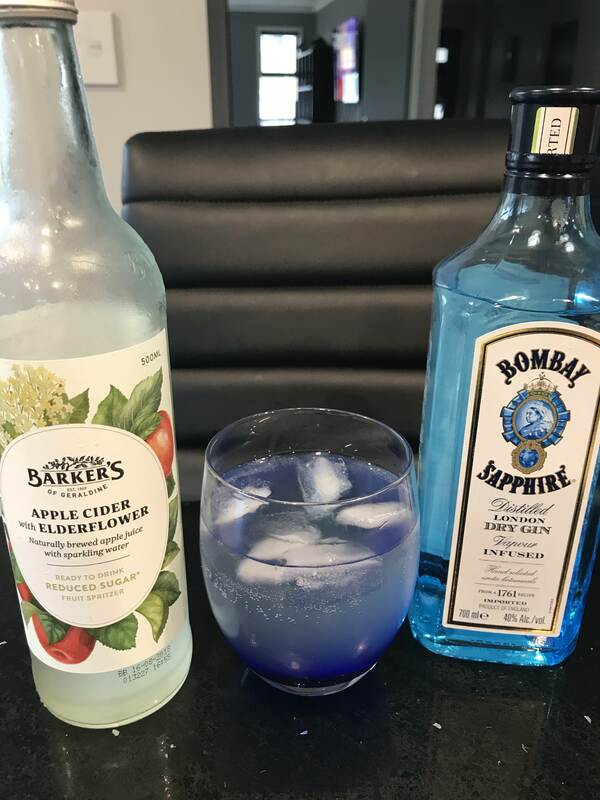 I took the drink camping with me, I had half a bottle left and I thought it would be a nice treat to enjoy while on a hot summers day at the beach and I was very right. 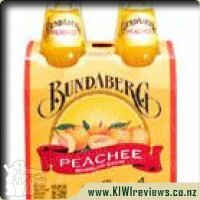 I enjoyed this drink with my dinner having fish, potato salad and corn and it went a treat with my dinner. I noticed after a week of first opening the bottle when I opened it again it still fizzed. My partner commented on this as well and said he likes the bottle and the fact it looks bigger then 500ml bottle. I think overall this drink is very satisfying and goes down a treat and the flavours are spot on. The bottle its self is eye catching and looks impressive and I like the larger bottle rather than the smaller standard size bottles. 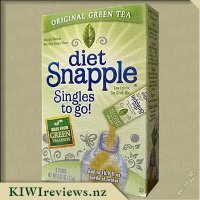 I would be recommending this to friends and I would think it would go very nice with a little bit of vodka or gin as well. My friends will have to try that one out for me and let me know what they think. The fact this had apple in it is what drew me in. I love any apple inspired drinks and this was interesting. 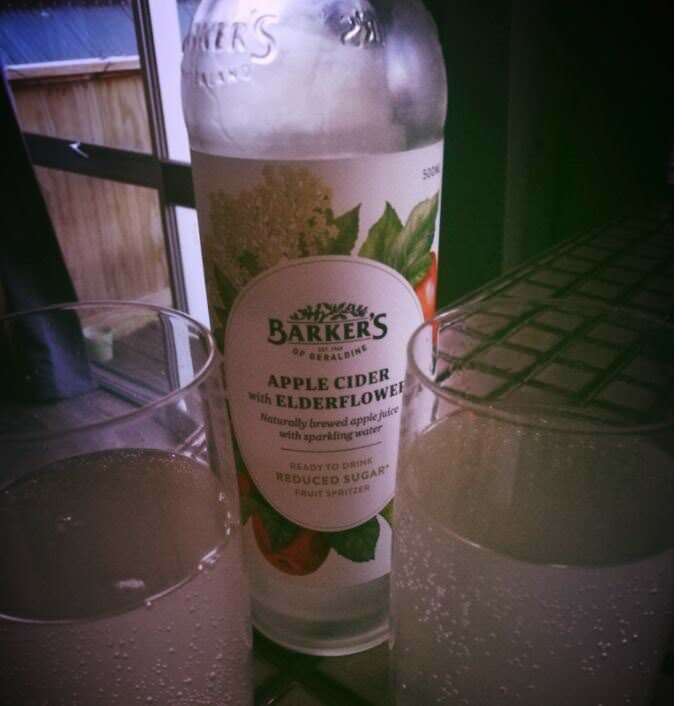 Never tried anything with Elderflower before so this was an experience. Opening for the first time you got a hint of flower and a little apple smell. Tasting this was very flowery, so was a little different, I&apos;m guessing not how I expected elderflower to taste or smell. I passed a glass around for the kids to try and 2 liked it, 1 wasn&apos;t sure and 1 went no. Hubby was also on the fence about it. I personally wouldn&apos;t mind trying this again or even one of a different flavour to see any difference. I never thought of adding it to a spirit for a bit of a difference, maybe I need to pop out and buy a bottle and try it that way, and see what flavours pop then. 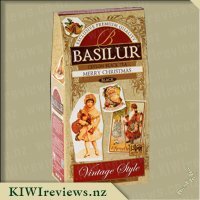 Would make a great addition to the Christmas table as something slightly different for all ages to try. Loved the label had all information that I&apos;d need to look at on it and wasn&apos;t overcrowded with lots of words and pictures. Would be easy to spot when recommending to other people. And compared to similar drinks in stores I think the price for this size bottle is well worth it. 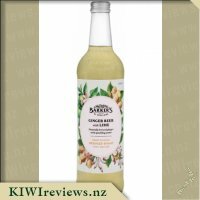 I&apos;ve recently tried Elderflower cordial and loved it and thanks to another wonderful review parcel from KIWIreviews I also know I love cider. Putting the two things together into one drink is a fantastic idea and one that I just had to try. Luckily for me, a bottle happened to appear in my latest review parcel so I got to try it out on one hot summers evening. To start with I think the bottle is beautifully designed and I love the fact that has reduced sugar. I thought the bottle was quite tall compared to the usual cider bottles I buy and it reminded me more of a wine bottle. Usually the cider bottle I go for are darker in colour so don&apos;t show the colour of the liquid so it was really nice to be able to see what I&apos;m drinking. My husband and I first tried it straight from the bottle and thought that it was ok as is but didn&apos;t find it hugely flavourful. Adding ice to this drink as is would be a mistake as it would dilute the already thing flavour too much. Placing the bottle in the fridge for a few hours would be the best option. As per a suggestion on the back of the pack we decided to try it with "a dash of something stronger!" and added some Gin with it. 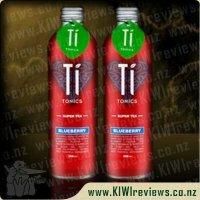 I have to say this made for a very refreshing drink and was definitely a great option to have with Gin instead of the usual tonic water. Having ice with it this way was pretty damn good too! For the price of $3.90 for 500mls it&apos;s very reasonable especially when you consider that it&apos;s enough for 2 drinks in the one bottle. 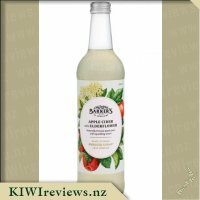 Since this cider doesn&apos;t have any alcohol in it I am curious to see where in the supermarket I would find it, would it be with the other ciders or would it be in juice isle? I guess I&apos;ll be hunting it out on my next shop. 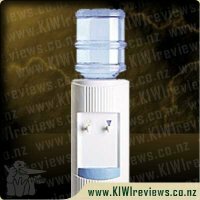 One thing I love about being a KIWIreviews member is getting to experience things I would never of done on my own. I had never in my life had a Cider before until I got to review one in October 2015 and since then I have not looked back. I now love my Ciders and you will find most nights my husband and I sharing a bottle while blobbing on the couch. I am always on the look out for a new favourite flavour, I prefer my sweet Ciders with added fruit so naturally when I saw this I jumped at the chance to trial it. Looking at the label and the bottle it seemed rather fancy and it felt more like a &apos;wine&apos; type of drink then our regular Ciders. The label and bottle are definitely eye catching and it is something that I would notice at the local supermarket. The next thing is the bottle is so much slender than what I am used to and it appears like it is more then our current drinks but surprisingly they are exactly the same. Then there is the price and it is fantastic! Can not fault it. Upon opening the bottle the first thing I noticed was the smell - you could really smell the fragrance of the Elderflower - it was so yummy and inviting. The next thing I noticed was the colour it reminded me of when my granny would drink her lemon drinks. Then the most exciting part was the first taste experience. The taste was not what either of us were expecting, it was a very soft cider compared to what we are used to. The absence of sugar was definitely noted and I was surprised that the Apple was not as strong as I had assumed it would be. The Elderflower was very notable and instead of the yummy after taste it was more of a watery flavour which I really was not expecting. Where as we both did enjoy it, it was much weaker then what we are used to and a taste that after a while did grow on us but neither would be keen to have again. 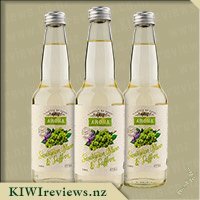 Upon looking at it again it does say a Fruit Spritzer and that there is no Alcohol or Preservatives in it, so when you take that in to account it does live up to what it says. It is a nice smooth drink but I think I will stick to my fruity Ciders. This is a beautifully presented 500ml bottle - just enough for an after-dinner treat for two. I loved the "grown-up" label which felt like it had more in common with a bottle of wine (maybe they should stretch to 750ml bottles!) than a fizzy drink. I felt that this was a lovely adult treat and with it being Christmas a good alternative to drinking another wine. I think we need a lot more of these premixed adult drinks that don&apos;t contain alcohol as I would definitely take a chilled bottle of this along to a bbq I was driving home from and feel I had a proper drink instead of a sad nasty chemical lemonade. It was a definite improvement from the cordials where you have to decide how strong to make it which is difficult for me. The sparkling was just the right amount of sparkle (not too fizzy) and as someone who loves her sparkling drinks the only concern I might have is that the bubbles might not last as they were quite light, but given I drank my half of the whole thing in less than 45 minutes it was perfect. You wouldn&apos;t have known it was reduced sugar unless you read the label as it had a lovely sweetness about it. The flavour was strong but not overpowering and tasted very natural. I would not have added ice (which I usually do to summer drinks) as I think it would have diluted it too much. It was a lovely strong taste and you could spot both the elderflower and the apple - husband thought there might have been some citrus hidden in there but I couldn&apos;t taste it. This was a lovely chilled drink and I would totally recommend keeping it in the fridge in advance as it is a glass bottle so it holds the chill very well. I loved the cloudy colour which was just enough to make it feel more interesting than a fizzy drink. I am not actually sure what makes a spritzer different to a fizzy water, sparkling fruit drink or some of the other names that these adult drinks are using so I can&apos;t tell if its a good "spritzer" but it was a good bbq or picnic drink especially with the screw top to allow for drinking and putting away again in future. I will definitely be buying one of these the next time we have a bbq I am driving home from. I like the packaging of this product. 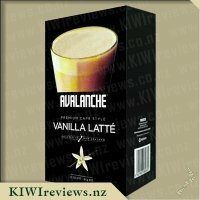 It has an eye-catching label and is also a decent size (500ml) so there is enough for two people to share. Or, if you are drinking it on your own and want to save some for later, the screw cap ensures that the contents will stay fresh and fizzy. We were having a spiced pork dinner so it seemed that cider would be a great match. 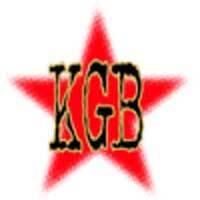 Pork tends to be quite rich so having an astringent drink to accompany it tones it down so that it is more digestible. Not only that, this drink is delicious in its own right. 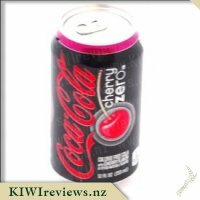 When we first tasted it, we were both surprised to find that the sugar content had been reduced (when compared to other fizzy drinks) as it was quite sweet enough for us. It was also reassuring to find that there are no extra chemicals included - but this is what I would have expected from Barker&apos;s anyway, having sampled many of their products in the past. The elderflower flavour was surprisingly intense: in fact, it was stronger than the apple. Elderflowers have an aroma reminiscent of muscatels, so it was an interesting combination. I would be intrigued to make a summer spritzer with this product and some elderberry wine (the alcoholic sort!) to see if that intensifies the flavour further. Elderflower wine mixes well with lemonade or plain soda, so I think it would probably be a useful variation on the plain version. In this era of chilly bins and frozen bricks, it is easy to transport a picnic for several hours on a hot day and still enjoy a cold spread. 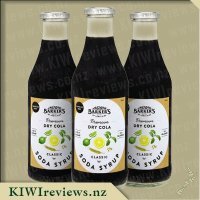 This drink would be perfect as an accompaniment to picnic food, and would maintain its temperature if stored in the chilly bin with the rest of the meal. We finished our review bottle at home over dinner, but the next time we have one will be at the beach where we can enjoy it after a swim. Cans are a nuisance on such a trip as you have to finish the contents in one go; the contents of this bottle, however, can be enjoyed in instalments and replaced in the chilly bin between swigs. As a summer drink, it would be hard to beat. We served it at room temperature but the day was quite cool anyway. On a warmer day I think it would be best chilled although I would hesitate to add ice cubes as they would dilute the flavour. Better to serve it neat straight from the fridge! On this occasion, we did intend to reserve a little bit for later so we could try it with a dash of vodka, but we did not quite make it - it was too nice so we drank the lot at one sitting! The vodka experiment will have to wait till next time. 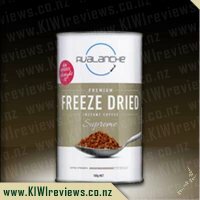 It&apos;s freeze-dried coffee as you&apos;ve never tasted it before. This top of the range blend combines a delectable flavour with fruity notes with a highly balanced and perfectly neutral overall composition.